Landlords subject to a new “absentee landlord” provision fear it may jeopardize the safety of their tenants. 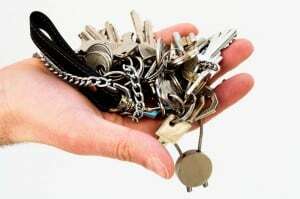 Lawmakers in Middletown, New York recently passed a measure which requires any rental property owner who does not live within the city limits to hire a property manager, or give property keys to an on-site tenant. Speaking through the Middletown Landlords Association, the landlords expressed concern over the expense of hiring a manager, or alternatively, the risk of providing keys to a tenant, according to a news report. They are concerned this move could increase the chance of theft, violate other tenants’ privacy, and create a new liability for landlords. The measure is said to address the problem of emergency personnel arriving at the buildings and not being able to quickly access the units. Many landlords live nearby, just not within the city boundaries. The city’s fire chief told reporters there have been issues with fire trucks sitting at a property for a long time while firefighters wait for the landlord to open up.